Bournemouth resident Tommy Baker has been presented the Points of Light Award by 10 Downing Street along with a personal message from the PM. Bournemouth resident Tommy Baker has been presented the Points of Light Award by 10 Downing Street along with a personal message from the PM. In 2008, Tom Baker started The White Christmas Dip to bring his family together when his uncle was diagnosed with cancer. Now in its 10th year, the charity event attracts over 750 swimmers and 2,000 spectators each year. To date, it has raised over £100,000 for Macmillan Caring Locally. Starting out as a family tradition, The White Christmas Dip raises vital funds for Macmillan Caring Locally, a specialist palliative care service based at Christchurch Hospital for people with advanced, progressive, or incurable illnesses. Thanks to Tommy Baker, hundreds of people now race across the sands to take a sponsored dip into the sea off Boscombe Beach on Christmas Day. The Points of Light Award recognises outstanding individual volunteers and people who are making a change in their community. 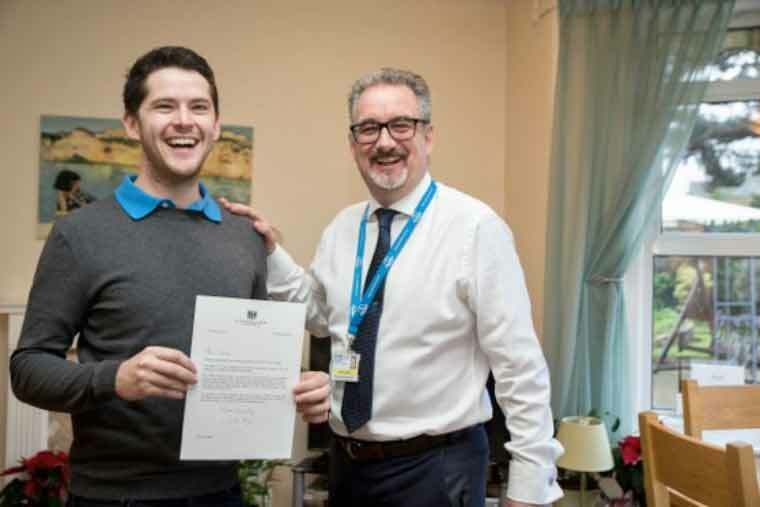 Every weekday, the Prime Minister recognises an inspirational volunteer with the Daily Points of Light award.